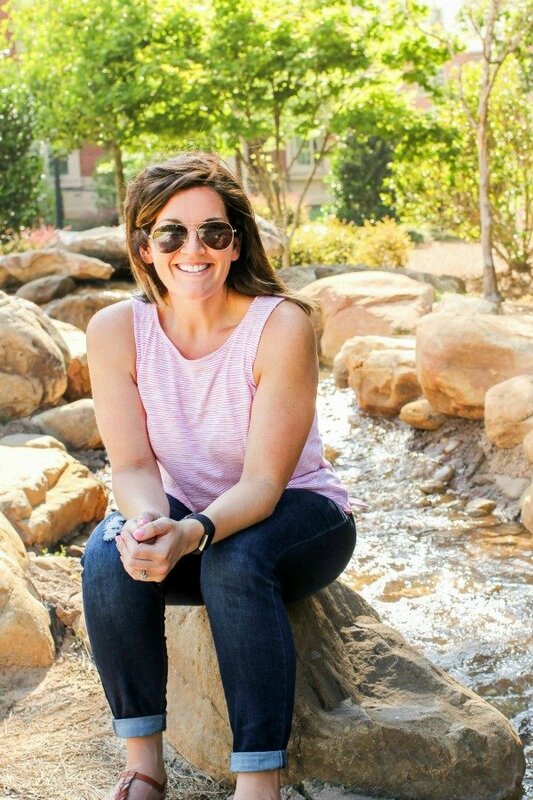 August 2, 2017 By Allyson 81 Comments This post may contain affiliate links. Read my disclosure policy. This Best Ever Homemade Chunky Blue Cheese Dressing is cool, creamy, tangy, and full of chunky blue cheese crumbles. It’s incredibly easy and delicious! 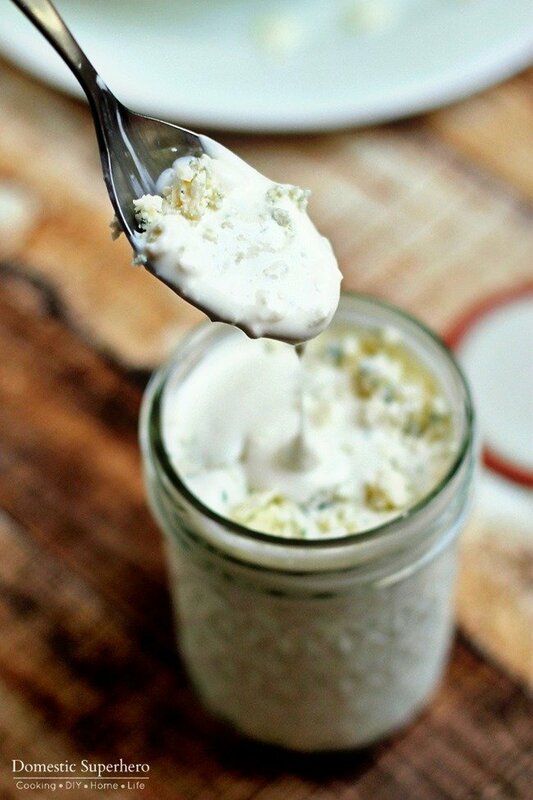 Guys…this is seriously the BEST EVER homemade chunky blue cheese dressing. I know, I know; tons of recipes claim to be the ‘best ever’, but believe me when I say…this is THE BEST EVER Chunky Blue Cheese. Blue cheese is just one of those things, you either like it or you hate it. I happen to LOVE it, and will pretty much put it on whatever I can. 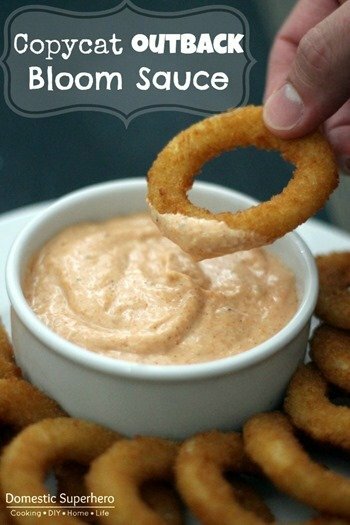 There have been many times when I have thought that whatever I am eating is just a vessel for the sauce or dip. This is why blue cheese makes the perfect veggie dip…because all you can taste is the blue cheese. If you are a fan of the cool, creamy, tangy, chunky blue cheese, then you HAVE to try this. 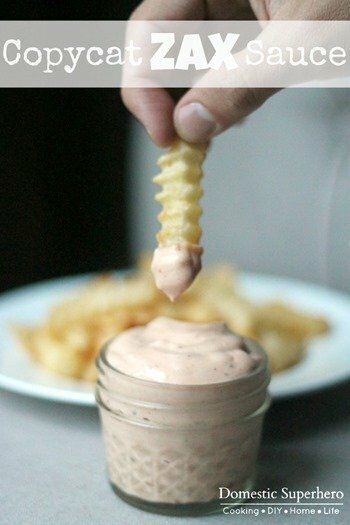 Seriously..make this right now. With the exception of the actual blue cheese, you most likely have everything for this chunky blue cheese dressing in your pantry or fridge, which is another reason I love it so much. When I was making it, I really wanted to use buttermilk, but guess what? I didn’t have any. So what to do? Just make buttermilk yourself – all it takes is some milk and vinegar – easy peasy. This homemade chunky blue cheese dressing would also be fabulous on your favorite wedge salad, or wings, or a buffalo chicken lettuce wrap or sandwich….or in a straw…however you eat it, it will be fantastic – I promise. I do have a few tips for you though – one, make this Chunky Blue Cheese Dressing and let it sit in the fridge AT LEAST four hours. Please, please, please. If you don’t follow this very important tip, this may just turn out not to be the best ever, and I can’t have that. It must be the best ever, so you have to let this bad boy meld it’s flavors in the fridge at least four hours. The second tip, use real blue cheese and crumble it yourself. You can by chunks of this stuff in the produce/deli/cheese section of your grocery store. If you absolutely can’t find it because you live in the middle of nowhere, then fine, use pre-crumbled blue cheese…it might not be as good, but it will still be delicious. This Best Ever Homemade Chunky Blue Cheese Dressing is cool, creamy, tangy, and full of chunky blue cheese crumbles. It's incredibly easy and delicious! In a medium bowl mix milk and 1 tsp white vinegar; let sit for 5 minutes, stir. Add crumbled blue cheese to mixture, and mash with a fork until they are well combined. Add sour cream, mayonnaise, white wine vinegar, sugar, garlic powder, black pepper, and salt; mix with fork to combine well. Pour into mason jar or other container and seal tightly. Let set in fridge for at least 4 hours. Remove, stir, and serve on your favorite foods! If you have buttermilk, you can use 1/3 cup in place of the milk and 1 tsp white vinegar. Will last in the fridge for up to 30 days in a sealed container. For the ENTIRE recipe (about 2 cups): calories 1121, Total Fat 99 grams, Saturated Fat 42 grams, Cholesterol 187 mg, Sodium 2695 mg, Total Carbohydrate 17 grams, Dietary Fiber 5 grams, Sugars 7 grams, Protein 36 grams. I just found your site when searching for the blue cheese dressing recipe—-Yes, this a winner but I ramped mine up a tad with actual crushed garlic and a dash of hot sauce. Hope to get some more tasty ideas from what looks like to be a wonderful food sharing website. Thanks a bunch! You are so welcome! Those sound like amazing additions! I will have to try that when I make it next time. Thank you for coming by and I hop eyou enjoy my recipes!!! 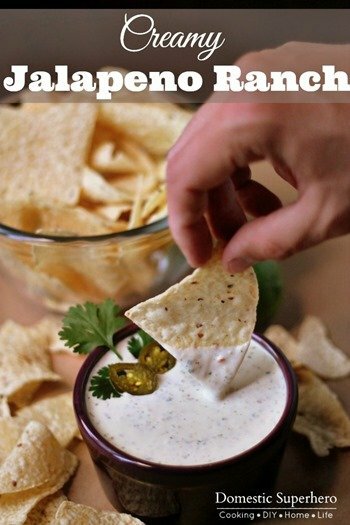 Try adding 1 pickled hot jalapeño pepper. Why white wine vinegar? Don’t have any so just checking! Thanks! Vinegar in the milk takes the place of buttermilk. The dressing needs the hit of acidity in some form. Made this today and it turned out great! I had buttermilk on hand so used it. Great and easy recipe! Can I substitute Miracle Whip in place of mayonnaise? Miracle Whip is our product of choice. it will definitely give the dressing a different taste, but if you like it, it might turn out tasty! can you make it with whit vinegar? I can now stop looking for the best blue cheese dressing because I have found it with this one. Delicious although next time I will add a crushed garlic clove rather than garlic powder as I like a stronger garlic flavour. This was amazing. I used avocado mayo and left out the sugar. I will never buy the bottled junk again. Thank you for a great recipe. 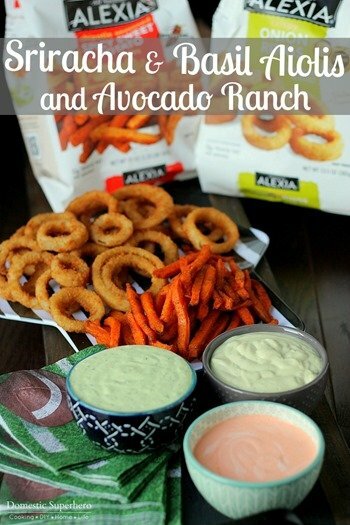 What a great idea with the avocado mayo!!!! Sounds delicious! No bottle compares to the homemade recipe! It’s TOO good! Happy New Year! What in heck ever happened to Hellman’s blue cheese? I used to love that and my supermarket stopped selling it along with Sally Sherman potato salad? I made this earlier today and I thought it was great! I decided to stir and test it after a 4-5 hours of sitting in the fridge, to my disappointment…it is completely runny, It is no longer thick and chunky, any thought? I am prepping for our super bowl party tomorrow, but I might have to start over with this. BTW, I used buttermilk. Hmmm, did you remix it? I usually let mine sit overnight and it gets even thicker. This is a delicious dressing. Used Roquefort. The tiny amount of sugar really evens it out, but trying it pre and post sugar, I think I liked it better without it. More tang! Used a very small amount of crushed garlic. This recipe has ruined store bought. Isn’t it SO good?!?! I can never buy store bought anymore either!!! Don’t know if this really is the best ever blue cheese dressing, but I made it yesterday and I won’t be looking for another with which to compare it. Fabulous. All one needs is a bunch of leafy greens and this dressing. Heaven. Thanks so much. This really is delish! I didn’t have sour cream so substituted low fat Greek yogurt. Nice and thick and very tasty! I’m going to try low fat Greek yogurt also. Creamy, tasty, tangy and low fat – compared to cream. I think I’ll add crushed garlic and a teaspoon of virgin olive oil as well. I don’t have white wine vinegar. Can I sub rice vinegar or white wine? Pam- I am not sure as I have not tried those substitutions, however white vinegar is found in almost all grocery/convenience/pharmacy stores! Recipe lists white vinegar and white wine vinegar…so both? Can’t wait to try it. I make it without the sugar and it’s Delish! Can we get breakdown on ingred list so I can figure out how many weight watcher points per serving? So glad you like it! What do you mean a breakdown on ingredient list? The ingredient list is in the post. So?!?! How did it turn out? Can’t wait to hear! Blue cheese is my favorite dressing. I had never made it before, but I followed the directions as per the recipe. This was, by far, the absolute best Blue Cheese dressing I have ever had.I’m putting some on a wedge salad and Angus New York strips, tonight. Thanks for sharing!!! So happy you loved it as much as we do! It definitely lives up to the name! Enjoy! Jim – I know how you feel…I actually have to stop myself from making it because I WILL EAT IT ALL!!! Too good! So happy you liked it! I made this recipe a couple times now. I absolutely love it!! I do substitute a clove of fresh garlic for the garlic powder. I am so happy you love it Jim! We make it all the time too! Try some finely chopped dill for a wonderful twist. I also use real garlic when possible too. Worcestershire sauce also adds a bit more umami to it. Sorry if I’ve rated this before, but it is SO good. It turns out perfectly every single time. Delicious! Thank you so much!! We love it too! Just made this for a special anniversary date night in. It’s wonderful tasting. I don’t think I’ll ever buy this dressing again. Thank you. So glad you loved it! Happy Anniversary! 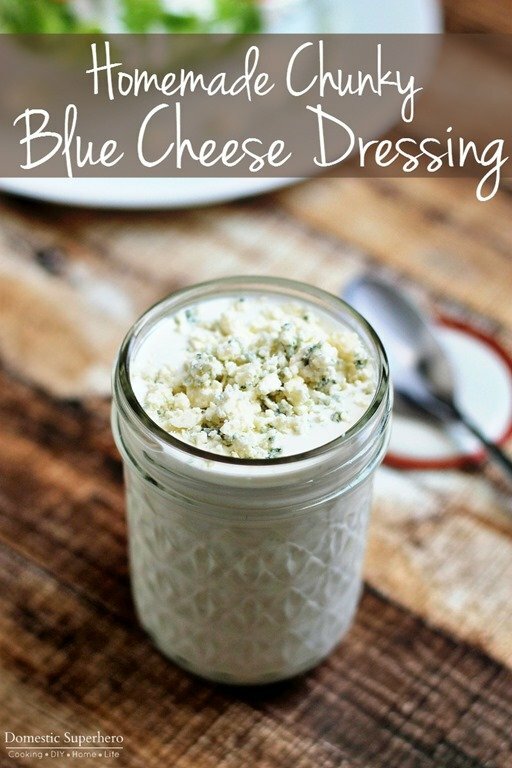 This is the best recipe I’ve made for blue cheese dressing and I’ve tried many! I think one of the keys to this recipe is the first 2 steps, letting the milk and vinegar sit for 5 min and then mixing the blue cheese together with the “buttermilk” – this is DELISH! I made it exactly as written. I used Hellman’s mayo (store didn’t have Dukes which I usually use) and Boars Head Blue Cheese. Yummy!!! 5star recipe! YES!!!! I am so glad you loved it and I totally agree!!! This sounds like a great recipe. I’m trying to make everything from scratch and not use store bought condiments. But this recipe calls for mayo, and that is a store bought condiment. Do you know what I could use to replace the mayo? Agree with those who suggest omitting the sugar. No need to “balance out” the “tang.” And using Miracle Whip would be heresy in my book. Much as we love bleu cheese dressing, it would still take us about 2-3 weeks to finish a 2 cup batch. How long is the (refrigerated) shelf life of this recipe? It should stay good in the fridge for a few weeks, just stir is or shake it every few days! OK! Maybe this really IS the very best! Had a craving for a wedge with homemade roquefort dressing and I found this, and OMG, i ate wedges every day til the dressing was GONE. A few weeks later, I wanted to make it again, but I couldn’t find the recipe! Looked EVERYWHERE, and finally gave up and made the “classic” recipe that kept popping up. Guess what? I was seriously disappointed. It wasn’t NEARLY as good as this one. And now I’m stuck with a pretty large batch. Well, I went all-out, determined to find this one again, and after a major sleuthing expedition, I finally found it! YAYYYY!! Printed it right out, and it’s safely in my recipe folder now, never to be lost again. BTW, I used homemade kefir instead of buttermilk. Fabulous. Thanks!! Oh wow!!! I am so happy you ended up finding it again! I love this recipe too and I don’t make it nearly enough! Thanks so much for your kind words! Happy holidays! This is really good! Amazing flavors! Homemade dressing is aways the best! Wow, you really nailed this one!! I will never buy store bought again! 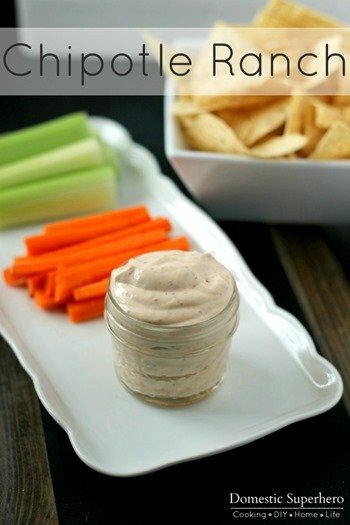 This is my FAVORITE blue cheese dressing recipe! It’s the only one I make! It’s so good!!! 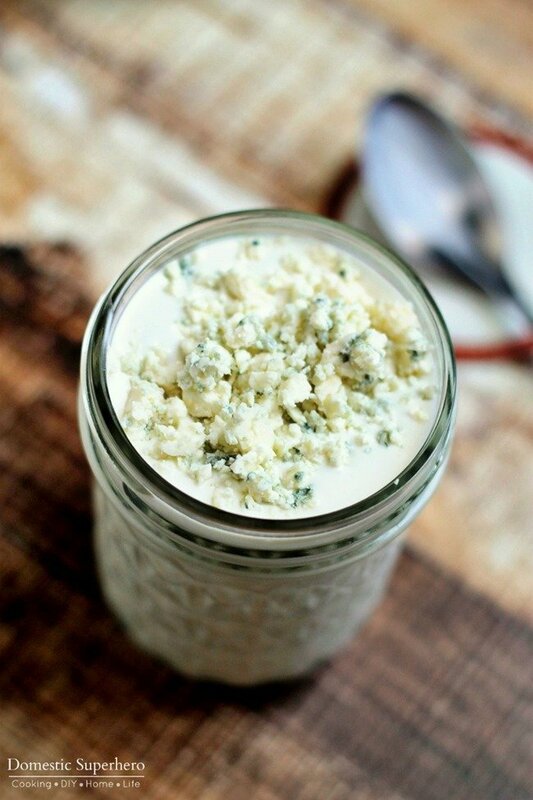 This really is the best homemade blue cheese dressing. My husband loved it!!! This is a must have to have on hand especially on game day! Such great flavor! Love making homemade dressings! Go big bleu! Nothing beats a homemade dressing. I will be making this for my meal prep salad next week. Can’t wait! Printing this for the game this weekend to go with our hot wings! Looks awesome! 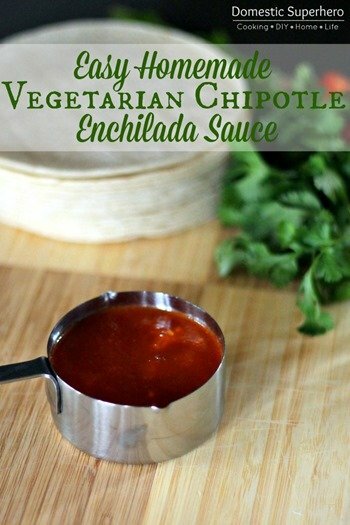 I love how easy this recipe is and it’s crazy delicious, absolutely a must try! This dressing is absolutely delicious as mentioned in the posts already. I made it exactly per the recipe. Does anyone know the nutrition information? I’m a diabetic and will definitely adjust my other foods so this can be in my meal plan! Nancy- the ingredients can be plugged into a nutrition calculator to figure out the information, however I went ahead and did it for you. For the ENTIRE jar of dressing the nutrition is as follows: calories 1121, Total Fat 99 grams, Saturated Fat 42 grams, Cholesterol 187 mg, Sodium 2695 mg, Total Carbohydrate 17 grams, Dietary Fiber 5 grams, Sugars 7 grams, Protein 36 grams. Remember this recipe makes about 2 cups of dressing. If to thick what should be added after setting? Just to loosen it up. 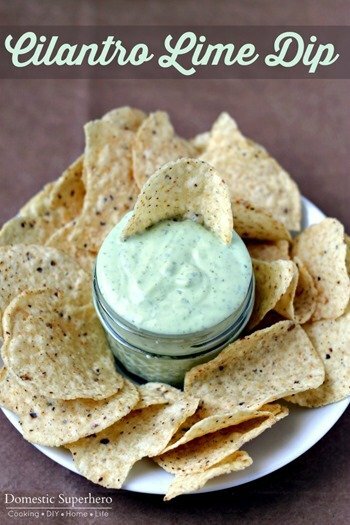 I have been looking for a great Chunky Blue Cheese dressing, I liked the ingredients in yours and the many positive comments. I tried it, but found that it thinned out after a day or two in the jar in the fridge. it started out thick and perfect for a salad dressing, it has good flavor especially with a good Blue Cheese. How can I keep the original consistency? Bob, I am sorry that happened, but I am not sure because I haven’t experienced that. Did you try mixing it up before serving after a few days? Sorry I am not more help! I tried mixing it, still watery. I used miracle whip, don’t know if this is the cause?